Usually Mikrotik packages are installed on the PC using the media CD / DVD or DOM installer. Maybe there is also a thought that the title above means install Mikrotik packages from USB Stick as installation media. In this Tutorial, we will be discussing in detail on How to Install Mikrotik packages on a USB Stick. We are simply going to explore Mikrotik NetInstall software in this tutorial. So hopefully, the installation file that is planted on USB Stick can be run on PC / Laptop that support booting via USB Drive. The form so kind of Live CD Mikrotik that can be used without the need to install many times, just once installation. Okay we just get started! 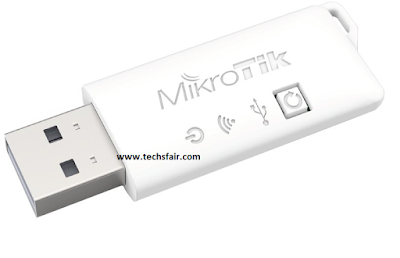 Tutorial How to Install Mikrotik on USB Stick. 1. The first thing we will be needing in this tutorial is a USB Stick, that is in a good working condition and can be useful, having its capacity up to about ,2GB to 8GB. Stick capacity this will be the hdd disk on Mikrotik. 2. Once we have the stick, we will move over to www.mikrotik.com/download to Download Installer File RouterOS x86 ISO, As soon as your in this page, Go to download page, scroll to x86 section, choose CD Image installer with extension .iso. 3. On the same mikrotik download page, Download the NetInstall Installer Software, by scrolling down again, and then select NetInstall. 4. Extract Software NetInstall Mikrotik You can extract the first NetInstall zip file or it can be opened immediately. 5. Format USB Stick with FAT32 system First format its USB Stick. Hopefully there is no important data in it. 6. Copying Process RouterOS Files to Stick. ← Know This Before You Setup A Wireless Point-to-Point Between Two Mikrotik Devices.